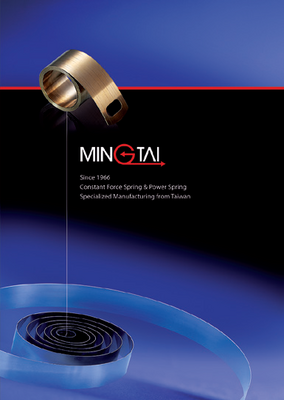 Ming Tai Industrial Co., manufactures steel strip springs, including constant force springs, constant torque springs, power springs and pre-stressed power springs. All steel strip springs can be used in wide variety of industrial product, which power human life beyond imagination. Steel strip springs can be designed for many different specific applications, welcome to consult with a Ming-Tai engineer early in the design phase to meet your need.